Hello friends! I hope the New Year is treating you right. 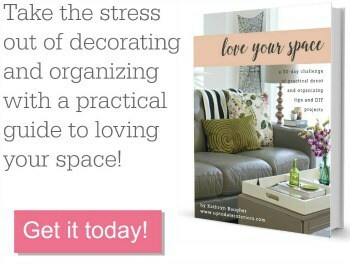 In this year’s Love Your Space series we are talking about the decorating process behind the slogan “love your space”. 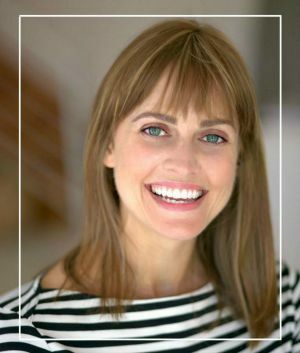 Last week, I described different kind of decorators and why you should have a home you absolutely love to live in now. This week, we are discussing the different ways to find inspiration. Once you have inspiration, you can use it has a set of guidelines or roadmap for the fun stuff, decorating! Depending on what kind of decorator you are, you might already have inspiration saved from Pinterest and magazines. You might have small tasks planned or even bigger plans for changing your space. The big pile of magazines or the many boards of pins you’ve collected could also look like a hogwash of styles and colors and be stressing you out. This could be a great time to start fresh with inspiration. There are many sources for finding interior decor/design inspiration. Let’s touch on a few methods. Find images of interiors that speak to you. Don’t put too much thought into it, if you are immediately drawn to it, put it aside (pin, clip, save…). Look for similar furniture finishes, types, and styles. Are there organic shapes or clean- modern lines in your inspiration? What kind of textiles make up the window treatments and throw pillows and blankets? Are they bright, patterned, neutral, colorful, or solids? You can also test color pairing by googling the two or three colors plus living room (“color” + “color” living room) and take a look at the image results. They will give a visual to how a space with those colors might feel. You can also click HERE and scroll down to “rooms by color” for color pairing inspiration. There are no wrong answers for this exercise. If you like a little of everything, that’s totally okay. You have an eclectic taste! This method of finding color inspiration is a little easier. Are there a lot of bright or saturated colors or maybe your closet if full of grays, blacks, and browns? Your clothes will show the colors you are most comfortable around. Using a favorite dress with an amazing pattern is also a great way to find color inspiration. You can also come up with a color palette from a great pattern. If you have a favorite city or travel destination, think about what is that you love. Maybe it’s strong architecture, bold colors, and different building materials. Maybe it’s natural surroundings like mountains, lakes, or coastal areas that inspire you the most. These places can say a lot about what materials and color palettes should be in your space. Depending on your personality type, it might be easy for some of you to imagine visual elements when you are listening to music or viewing art. Perhaps you are drawn to a certain era or able to translate the feelings you have about a favorite piece of art into words that can be reflected in a room. This inspiration is a little difficult to describe but let me give you an example. I’m a musician. I have strong feelings towards certains eras and genres of music and art. If you’ve seen my house, you might describe it as classic, modern, and a little romantic. If you find me playing the piano, chances are it’s classical, romantic or Cole Porter. I enjoy interiors featuring furniture and accessories that nod in the direction of those genres as much as I enjoy the music and art. Your turn: If you have a favorite genre of music or favorite style of art, think about what it is that draws you to it. Even if it’s rock’n’roll, it might be saying you enjoy rustic pieces with industrial elements and a little vintage flair. Don’t worry! I don’t want you to stress about coming up with major design plans or anything. I just want you to start thinking about the different colors, textures, and styles you are drawn to. You can write them down and even create an inspiration board to see how all of the elements look together. That way, you have a safe place (being your inspiration board) to fall back on if you get overwhelmed when making decisions for decorating and organizing. It might also be easier to get rid of or repurpose something if it doesn’t fit into your inspiration board. I would love to hear where you find your inspiration when decorating! Leave me a comment and let’s chat. Next week the fun starts! We are going to start the decorating and organizing process with the things you already have. I know!! I love it all too. I’ve learned to keep big pieces more neutral so that I can edit colors, patterns, and styles with accessories to my heart’s content. There’s something to be said for big statement pieces though! !